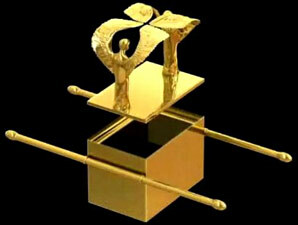 Throughout Jewish writings, the Ark clearly is symbolic of the Torah. The lesson of the duality is that Torah observance requires joining with others. Judaism is not meant to be practiced in isolation. We are supposed to be part of a community. We need to be involved with a community for two reasons. First, it is difficult to grow spiritually when we are not in frequent contact with others who are growth-oriented. We need a support team to help keep us motivated to grow; we need friends to redirect us when we veer off the straight and narrow. But even more than that, we need others around us so that we can be in the position of helping someone else grow. We do not believe in living a monk-like existence, withdrawn from each other and focused only on ourselves. If we are not involved in cultivating the Torah development of others, we ourselves are not fulfilling the Torah properly. We find this concept in the very beginnings of Judaism. The first Jew, Abraham, dedicated his life to teaching others about God and helping others grow spiritually. Rabbi Moshe Sofer (1762-1839; Pressburg, Hungary) explains that Abraham chose this path even though it was at the expense of his own personal spiritual growth! We must search out opportunities to share the beauty of a Torah lifestyle with others. 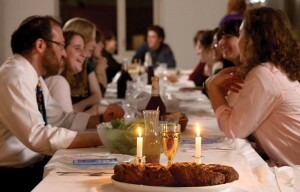 It can be inviting a guest to join our Shabbat table. It can be organizing a lunch-and-learn at our office. It can be simply warmly welcoming a newcomer to shul, causing him or her to be more likely to return. With this we can be sure that we are truly living a Jewish lifestyle.